Hi Peter and fellow visitors to this wonderful site. I am ministry leader at my church, doing this research for an elderly bed ridden friend that is financially challenged at the moment. 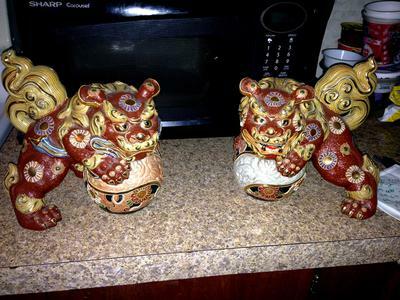 She has 2 mirrored red, ceramic/porcelain foo dogs (lions?) purchased by her father in Japan around 1954, she was a child at the time. She is wanting to sell them to pay property taxes this year. Anyway I have rattled my brain trying to find a way to value them, I have no local resources for this. I do not want to over value them so that she has a chance to sell them on the same hand I don't want her to be ripped off either. She said at one time an appraiser told her they were worth around $800.00. (I don't have a clue. 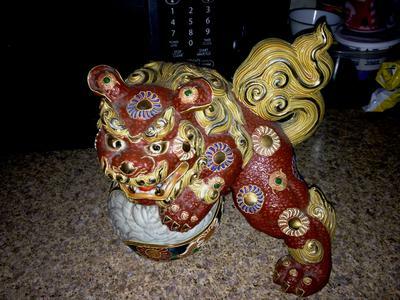 )I have posted on a couple of websites, Asian Art & Instapprasial, so far but no responses. These figures are about 10" high at the tail & about 10" long, the balls are about 5" across. These figures weigh (guessing) about 3-4lbs each. 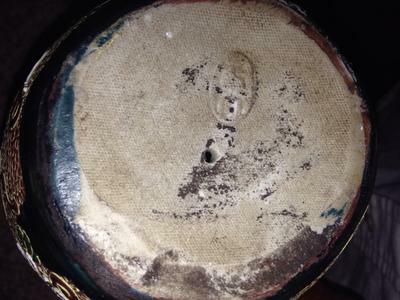 My latest venture is to try & identify an imprinted marking on the bottom of one that the felt has been removed from, of course to no avail so far. If any one can help me to at least get a ball park figure I & she will be graciously appreciative & will pray God's blessing upon you & your family members. Attached are several photos of the figures as well as the marking. One photo I tried to enhance to more readily see it. As you know in this china chat forum we are more about identifying than valuing. This is because, certified appraisers don't tend to hang out on the forums they'd rather be paid for their skill. If we guess and we get it wrong, and tell you some misinformation, it might get a bit heated. So we leave this to our team of expert appraisers. 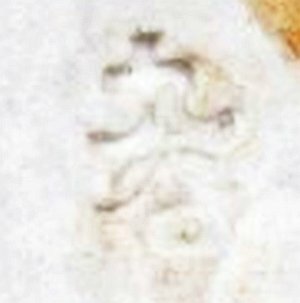 However, what I can do is tell you what I would do as a non-expert if I were to be researching what these might be worth. So first I'd take a good look at them and do some guess work. Valuable Chinese dynastic ceramic wares that I have seen are more like artworks than produce. The decoration is at the very peak of what human beings can achieve by hand. They were imperial wares fit for Kings. So I'd look at an item to see if it fits the label of 'produce' or 'artwork'. I can see sloppy paint overspill on the base. The body looks more like earthenware than fine porcelain as far as I can see from the photos. These sort of clues would indicate to me 'produce' rather than 'art'. But I might be wrong, so then I would check through the auction sales records - all readily available online. I would see if I could find anything in the same sort of area and see what the estimate was and what the item actually sold for. Up popped a couple of examples that weren't exactly the same, but looked not too dissimilar in that they were the same size and roughly the same colour theme and design. One had a different blue/green colour scheme. They were described as being about 10" tall and decorated in glazed earthenware in iron oxide red and other glazes with gilt accents. Neither description mentioned age, but we can gather from your provenance that these are 1950's and made for the then booming export market from Japan (mainly at that time a mass-market, low end offering). So from this detective work we could come to the conclusion that these have decorative/sentimental value but not collectible value at this time (2016). Here are the items sold at auction and the estimated values and the prices they fetched. Perhaps the blue/green pair is a better quality? I can't really tell by the photos. Maybe the red is less desirable? Maybe they prices very between auction to auction? These are auction values. You could easily double for retail value in an expensive antiques store. This was the mark on the blue/green version that sold for $300 USD. I can't tell if it's the same or similar to yours, but take a look and see. If they were mine I would site the more expensive pair and ask $300 - $400 dollars for a private sale. I would be prepared to negotiate somewhat. What you go down to is up to the individual. So this is merely my thought processes, I am not saying I am right, so follow this model at your own risk. I am no expert, I just use some research skills and a bit of common sense.